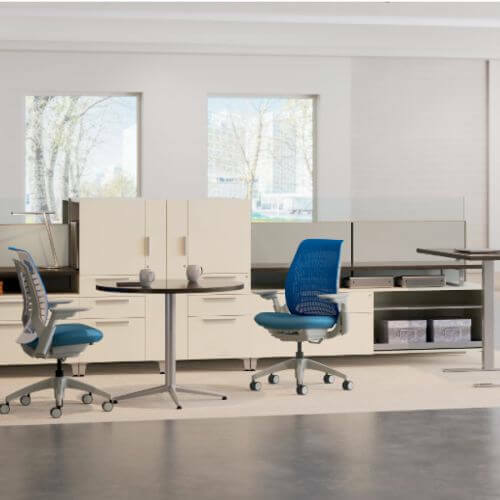 Custom made panels, systems and cubicles made by Allsteel and designed specifically for you by McAleer’s Office Furniture. We have an in-house design team that can do on-site measuring, select finishes, generate computer layouts and RFPs, help you with your budget and manage your entire workplace project. From big to small…we do it all!